When a team of scientists discovers a new species—whether a fossil or a living specimen yet to be catalogued—a complex process is set in motion to name it. “There are many rules. To be exact, an entire book: the International Code of Zoological Nomenclature (ICZN),” says Thomas Geissmann, a researcher in the Department of Anthropology at the University of Zurich (Switzerland) to OpenMind. Among all these rules there is some scope for creativity, which scientists use to devise names with a good dose of ingenuity. To baptize a species in honour of a recognized researcher, a science disseminator or a figure who has fought to conserve biodiversity is a very common practice in zoology. 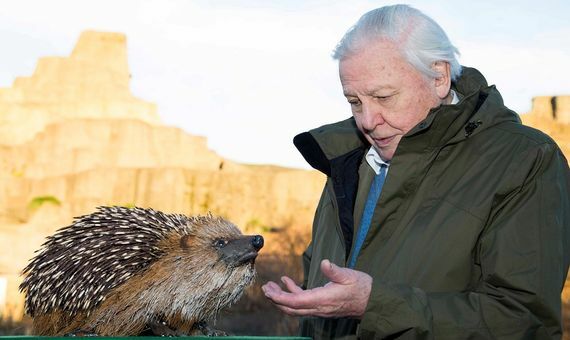 The British naturalist Sir David Attenborough (May 8, 1926) has dozens of species named in his honour. The most recent is a fossil about 430 million years old, a relative of lobsters and crabs. Discovered by an international team led by the University of Leicester (UK), the crustacean, about nine millimetres in length, was preserved in the volcanic ash deposits of a marine area of ​​Herefordshire on the border with Wales. The fossil has been named Cascolus ravitis in honour of the naturalist, who grew up on the campus of the University of Leicester. Cascolus is derived from castrum, meaning ‘fortress’, and from colus, meaning ‘dwelling in’, and alluding to the English ancestors of the surname Attenborough. As for ravitis, it is a combination of Ratae (‘Leicester’ in Roman), vita (‘life’) and commeatis (‘a messenger’). Known as a member of the hilarious British group Monty Python, actor John Cleese (October 27, 1939) is a committed defender of the lemur. Cleese encountered these animals in the film Ferocious Creatures (1997) and has been interested in protecting them ever since, especially the black-and-white collared lemur, which is critically endangered according to the Red List of Threatened Species of the International Union for Conservation of Nature (IUCN). 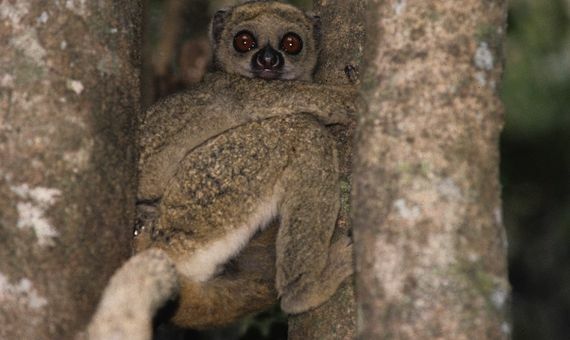 In recognition of his conservation efforts, the anthropologist Thomas Geissmann gave the name of Avahi cleesi to a new species of woolly lemur, discovered in the west of Madagascar in 1990 and described in 2005. “John Cleese had expressed his support for the conservation of the lemur and participated in a documentary on the Madagascar lemurs and their preservation,” explains Geissmann to OpenMind. The new species is also endangered according to the IUCN Red List. If there is one masterpiece in biology it is The Origin of Species (1859) from the legendary Charles Darwin (February 12, 1809 – April 19, 1882), so it is not surprising that hundreds of creatures bear his last name. If we have to choose one, we will go with Darwinius masillae, an extinct primate that lived 47 million years ago. In addition to being the most complete fossil of this order of mammals, it was described coinciding with Darwin’s 200th birthday. 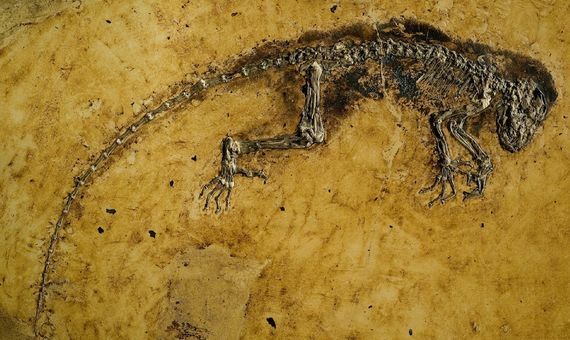 The remains were found in 1993 at the Messel quarry in Germany and were sold in two parts, which were joined together in 2007. The tests revealed that it was a female that died in the first year of life to which the name Ida was given. The finding, presented in New York (USA) at a large press conference, was described by many members of the media as “the missing link,” somewhat exaggerated in the opinion of a team of Norwegian researchers. The third president of the United States of America, Thomas Jefferson (April 13, 1743 – July 4, 1826), was, in addition to being a politician, also passionate about science. His obsession with unknown animals led him in 1797 to describe bones found in West Virginia (USA) as megalonyx. In 1825, shortly before his death, this name was used to refer to an extinct genus of terrestrial sloths. In his honour, one of the species was called Megalonyx jeffersonii. What’s more, a scallop, a plant and a mammoth have also all been baptized using his surname. Carlos Linnaeus (May 23, 1707 – January 10, 1778) revolutionized biology by creating a new system of classification of living beings based on two names: the first, that of the genus, and the second, that of the species. Considered the father of taxonomy, it is estimated that, with this system, he came to classify more than 9,000 plants and about 4,000 animals. 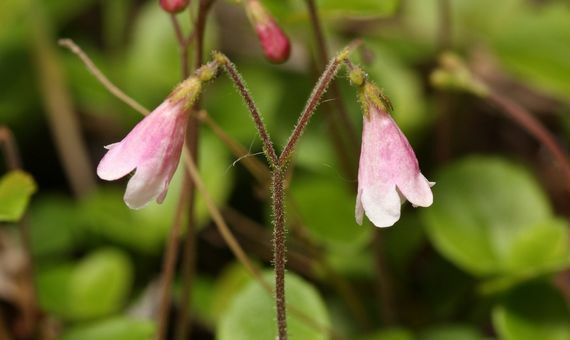 One of the plants named in his honour is Linnaea, his favourite, which he discovered in northern Sweden in 1732. His teacher, Jan Frederik Gronovius, named the genus in 1753 in recognition of his brilliant pupil.